Lat: 41.38° N Lon: 79.87° W Elev: 1539 ft.
Showers and scattered thunderstorms. Highs in the upper 50s. Temperatures falling into the upper 40s this afternoon. South winds around 15 mph, becoming west this afternoon. Gusts up to 30 mph. Chance of rain near 100 percent. Mostly cloudy. Rain showers likely in the evening, then a chance of rain and snow showers after midnight. Lows in the mid 30s. West winds 10 to 15 mph with gusts up to 25 mph. Chance of precipitation 60 percent. Mostly cloudy with a slight chance of snow showers in the morning, then partly sunny in the afternoon. Cool with highs in the upper 40s. West winds around 15 mph with gusts up to 30 mph. Chance of snow 20 percent. A chance of showers in the evening, then showers after midnight. Lows in the upper 30s. 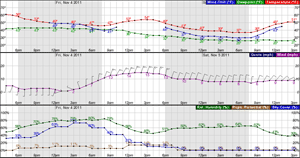 West winds 10 to 15 mph with gusts up to 25 mph, becoming east around 5 mph after midnight. Chance of rain 80 percent. Considerable cloudiness. Rain and snow showers likely in the morning. Little or no snow accumulation. Cool with highs in the mid 40s. North winds 5 to 10 mph with gusts up to 20 mph. Chance of precipitation 70 percent. Mainly clear. Patchy frost after midnight. Lows in the lower 30s. Mostly sunny with a chance of rain showers in the morning, then mostly cloudy with rain showers likely in the afternoon. Highs in the upper 50s. Chance of rain 70 percent. Considerable cloudiness. Showers, mainly in the evening. Lows in the lower 40s. Chance of rain 80 percent. 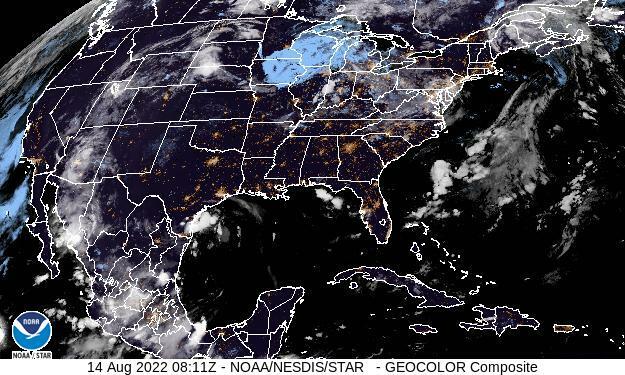 Considerable cloudiness with a 40 percent chance of showers. Highs in the lower 60s. Considerable cloudiness with a 50 percent chance of showers. Lows in the upper 40s. Considerable cloudiness with a 50 percent chance of showers. Highs in the mid 60s.